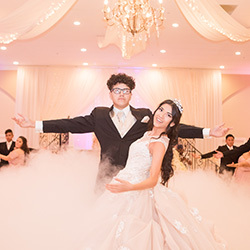 Our beautiful ballroom has a charming Tuscan décor that can comfortably host up to 500 guests. 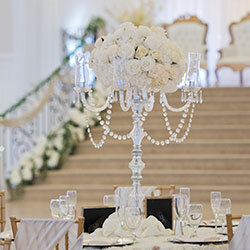 They are perfect for the elegant ambiance your reception deserves. With more than 40 color themes available, our professional team will transform your reception hall into the room of your dreams. 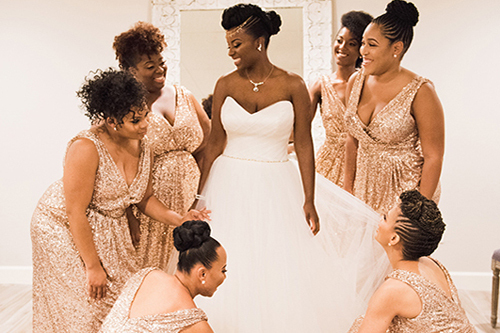 Our wedding packages can be all-inclusive, but also flexible to allow you to bring your own vendors. 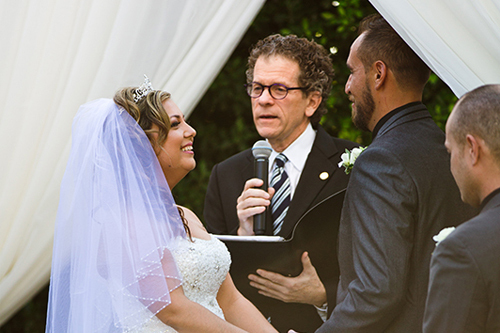 We'll help your family coordinate every aspect of this special day. Explore our lush ballroom and start planning your perfect wedding. 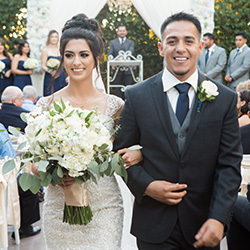 Our wedding and ceremony packages are affordable and customizable. Take a step into our fairytale like outdoor wedding and event space. 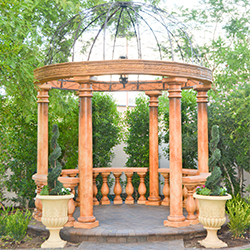 Schedule a tour to see our enchanting indoor/outdoor wedding venue and reception hall.